The Trust for the National Mall is thrilled to see the National Mall Design Competition reaching the ASLA community, as ASLA played an integral role in the development of the National Mall Plan. We certainly hope you will continue to encourage your members to participate in the Design Competition on every level. We wanted to clarify a few key points made in the article above. 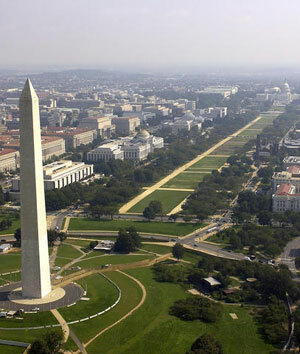 The National Mall Design Competition will be for U.S. teams only, not international teams. As you said, we highly encourage submissions from both emerging and established designers. All domestic designers are welcome! Additionally, the Design Competition will take place over 36-weeks, and we hope to have at least one of the designs fully implemented by the 100th anniversary of the National Park Service in 2016. Finally, designers wishing to submit portfolios for Stage I are invited, but not expected, to attend a pre-submittal briefing in Washington, DC later this month. We certainly do not want to discourage designers who are unable to attend that briefing from submitting; it is a convenience more than an obligation. For additional information on the Competition, including the downloadable Competition Manual, please visit http://www.nationalmalldesign.org. According to some books, Architecture competitions have a more than 2,500-year-old history. The Acropolis in Athens was a result of an architectural competition in 448 B.C., as were several cathedrals in the Middle Ages. During the Renaissance, many projects initiated by the church have been decided through design competition. Examples are the Spanish Stairs in Rome or in 1419, a competition was held to design the dome of the Florence Cathedral, which was won by Filippo Brunelleschi. Open competitions were held in the late 18th century in several countries including the United States, Great Britain, Ireland, France and Sweden. In 19th century England and Ireland there have been over 2,500 competitions in five decades, with 362 in London alone. The Institute of British Architects drafted a first set of rules in 1839, and a set of formal regulations in 1872. The German Regulations were introduced in 1867. In the same period in the Netherlands an association for the advancement of architecture started organising conceptual competitions with the aim of stimulating architects’ creativity.